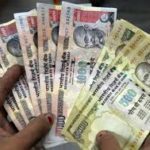 The latest in the black money fighting effort of the government is the withdrawal of Legal Tender Character of the existing Bank Notes in the denominations of Rs 500 and Rs 1000, with effect from the end of the 8th November, 2016. This is not the first time that denominations has been attempted in Independent India. The first attempt was through the High Denomination Bank Notes (Demonetisation) Ordinance, 1946, and the Second through the High Denomination Bank Notes (Demonetisation) Ordinance, 1978. As per the records in the articles published, the value of high denomination notes not presented were about Rs 9 crores in 1946 and about Rs 20 crores in 1978 As per the paper reports, currency in circulation is 17,773 billion, where as High denomination currency withdrawn from the system is 86% i.e. Rs.15,640 billion. Though one will have to wait and watch to see the success of the cancellation of the Rs.500 and Rs.1000 notes from the circulation. We must appreciate that the object of Demonetisation, i.e. to remove the circulation of unaccounted money and also to stop the fake currency in circulation. One of the advantages will be that, the entire unaccounted money will be brought within the banking systems and fake currency will be automatically removed. This will also encourage the citizens to rely more on digitalisation and paperless economy. In the process it will definitely reduce the circulation of black money. Some issues may arise in taxation wherein, when a person makes a huge deposit of cash in a bank, he may get the notice for scrutiny. However as long as the books of assessee show the cash in hand, the assessee need not worry at all. Whether the assessee deposited the amount at one time or various occasions, the same is immaterial. There has been much debate on the subject regarding levy of penalty in case the assessees disclose the amount and pay the maximum tax applicable in the year under consideration. The view that penalty may not be leviable in that case seems to be legally correct. One may have to consider the implications under the provisions of Prevention of Money Laundering Act. 2002, Prohibition of Benami Property Transactions Act, 1988, The Prevention of Corruption Act, 1988, The Indian Penal Code, 1860, Reassessment proceedings, Prosecution provisions of the Income-tax Act Section 277, 277A and Tax professionals must also consider the provision of section 278, Abetment of false return, etc. I am confident that the tax professionals will play a proactive role by advising the assessee to pay the taxes rightfully due to the Govt without indulging in adventurous tax planning methods. As of now only 3% of the population is paying taxes, we hope that in the years to come, it may be increased to more than double which will also benefit the nation and tax professionals. It is the duty of professional organisations like All India Federation of Tax Practitioners to prepare a white paper on the subject of bringing more assessees under tax net and also eradicating the corruption from the society so that the new generation will have the fortune of living in corruption free India. the tax professional must play not only positive role but an effective role in curbing the black money as the same is adversely effecting the development of our country. Thanks for the awesome explanation. One of the biggest hurdles in removing poverty from the country and in taking big strides in the area of development is the black money or the money hoarded by unscrupulous people. There is every possibility that curbing the fake currency notes and black money will open up the vista for development if basic infrastructure and investment in many sectors will open up.